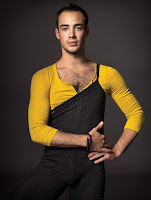 Helping to kick off New York City Ballet's Here and Now Festival, which celebrates modern choreographers' works, was an all-Wheeldon program. During the evening, fans got to watch four ballets by the Tony-winning choreographer, who was the company's first resident choreographer. 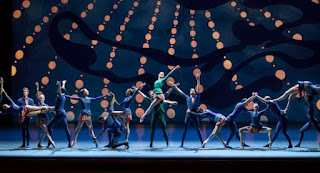 The evening began with Mercurial Manoeuvres, which, notably, is the last ballet Wheeldon choreographed for the company while still one of its principal dancers. A ballet for 21 dancers (set to Shostakovich's "Piano Concerto No. 1 in C Minor, Opus 35"), this has a decidedly militaristic feel in the ensemble moments. (Watch, for example, the dancers' arms—they move with precision like the hands on a clock. It's exact and clipped.) That's beautifully juxtaposed with the grace and softness of the utterly impressive pas de deux (danced on Saturday by Tiler Peck and Tyler Angle). 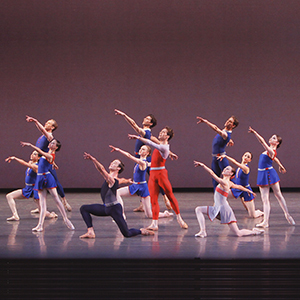 Both types of dancing—ensemble and pas—are mercurial. The ensemble keeps changing formation, like a military unit doing some sort of drills. The continual change in the pas de deux, interestingly, is less in the choreography and more in the relationship the dancing explores. I had forgotten just how exquisite this pas de deux is. There's plenty of precision, like in the ensemble sections, but it's but softer, more elegant, and it's filled with incredible catches and unbelievably quick turns. You see Peck spinning with your own eyes but you still can't believe it's humanly possible. The performance of this pas de deux is also a great example of a great partnership. Peck and Angle are frequent on stage partners, and you can see it in the way they interact with and have complete faith in each other; it allows them to push further and dig deeper in order to present a breathtaking performance. 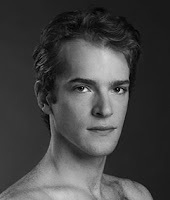 Next was Wheeldon's breakthrough work, Polyphonia. Featuring a more modern score than Mercurial Manoeuvres (selections from Gyorgy Ligeti), this also features more modern dancing. What I always find most memorable about this are the darker, tenser sections with choreography that's reminiscent of the Stravinsky Violin Concerto pas de deux. Polyphonia boasts two such sections, danced on Saturday by Unity Phelan and Zachary Catazaro. In these sections, the dancers contort and wrap around each other, striking stark, provocative poses. It's here you see what strength ballet dancers must have in order to do their jobs well. These sections are not meant to be beautiful in the classical ballet sense (though they are beautiful); rather, it's about the combinations matching the dissonance and tension in the music. Other highlights of Polyphonia include watching Sterling Hyltin be light and airy in more festive movements (she's partnered by Gonzalo Garcia), and watching Sara Mearns command the stage. Mearns was partnered by Chase Finlay, and, it turns out, this was the perfect pas de deux for him because it required no personality. (I often find Finlay to be thoroughly un-engaging on stage.) To wit: After he partners Mearns, Finlay leaves the stage and Mearns dances the same combinations by herself—and you don't miss anything. After a second intermission we got to the brief pas de deux, Liturgy. Wheeldon chose an Arvo Part piece for this, and, much like the Part music used in Wheeldon's After the Rain, the strings provide great color. The percussion tones at the end of the composition ("Fratres, for violin, strings, and percussion) is almost monastic, no doubt inspiring Wheeldon to create a ballet with religious undertones, some sort of liturgy. This is palpable throughout in the way Jared Angle interacts with Maria Kowroski; it's almost like he's presenting her as some sort of sacrifice (not in an aggressive way, more in exultation). It's most obvious, though, in the choreography that concludes the ballet. Kowroski and Angle find themselves center stage repeating and repeating and repeating the same sequence—it's like they are practicing a chant, and it's rather enchanting. 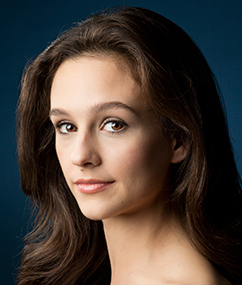 Bringing the evening to a rousing close was Wheeldon's most recent ballet, American Rhapsody. You might recall that when I saw it for the first time, I was underwhelmed. That had so much to do with expectations. 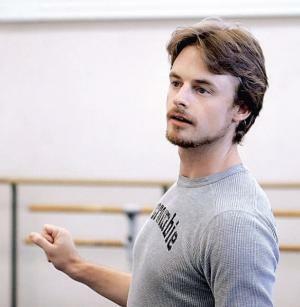 It was the first ballet Wheeldon was presenting in New York since choreographing An American in Paris, for which he won a Tony, starred his muses, Robert Fairchild (also in An American in Paris) and Tiler Peck, and was set to the orchestral version of George Gershwin's canonical "Rhapsody in Blue." Expectations were impossibly high. Without that pressure, I was able to better enjoy the ballet. 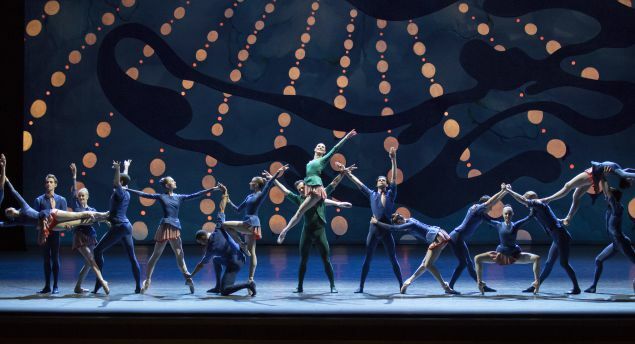 I still don't think it's a spectacular piece; it certainly won't be remembered like some of his other works, but Wheeldon created a fun, whimsical ballet. Unity Phelan and Amar Ramasar reprised their roles from the premiere, but dancing in place of Peck and Fairchild were Lauren Lovette and Russell Janzen. I think they're both lovely dancers, and I was pleasantly surprised to see what personality and flair Janzen brought to the role. It's difficult to beat that Robbie Fairchild-flair, but Janzen really came to life. And you simply can't beat that music.